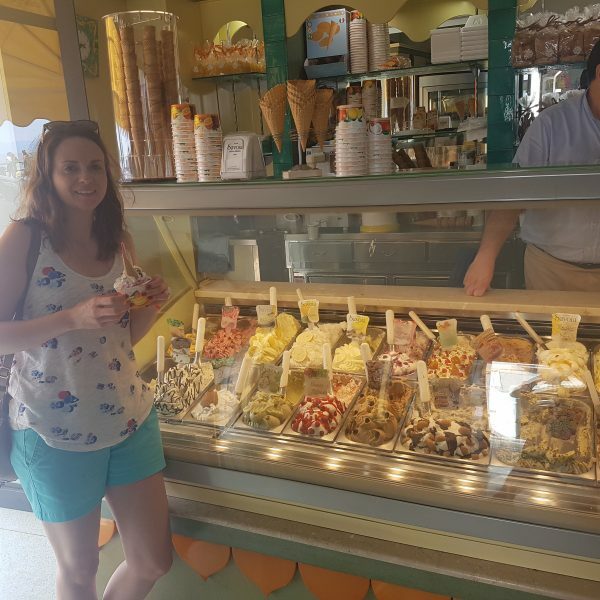 My top tips for the Amalfi Coast – how to get there, places to stay, day trips and – most importantly – where to find delicious pizza, pasta and gelato! 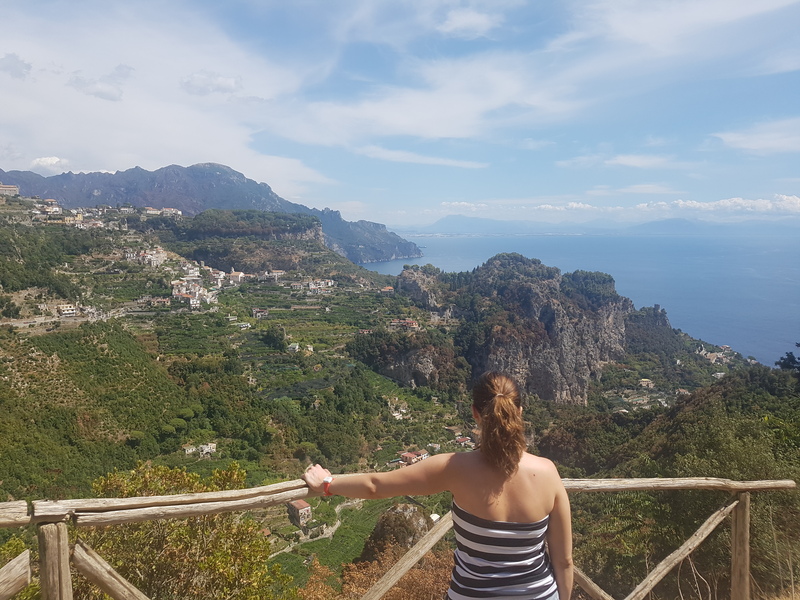 I always say that the world is too big to keep going back to the same place, but I make an exception for the beautiful Amalfi Coast. 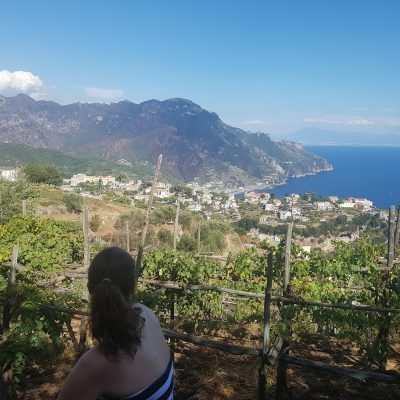 In September, David and I visited the Amalfi Coast for the fourth time. 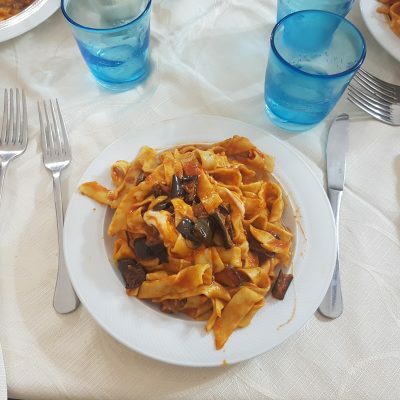 We first visited in 2010 when David wanted to spend our summer holiday in Rome and I agreed if we could also chill somewhere for a week (definitely needed after spending any time in Rome during the summer months). 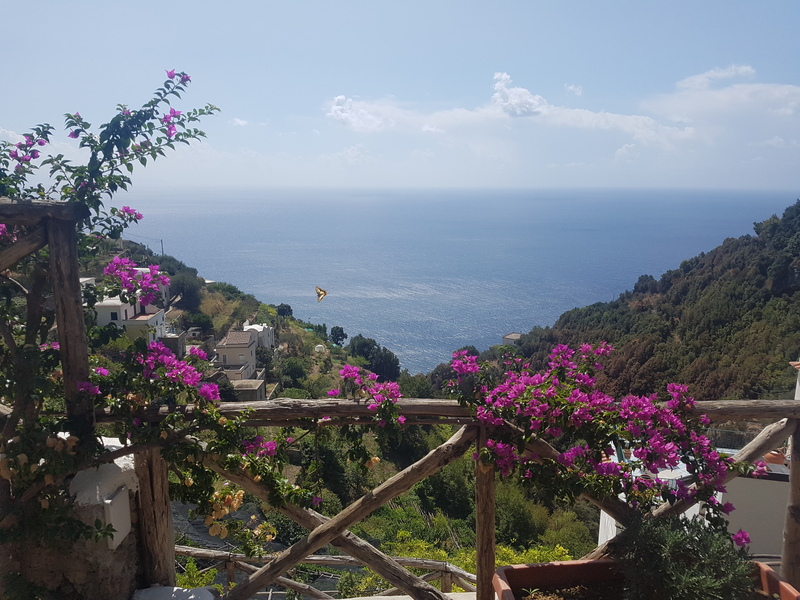 After seeing photos of the stunning coastline, we booked accommodation with the help of our now friend Gerry, who owns a pub in Pogerola, a village up the hill from Amalfi. 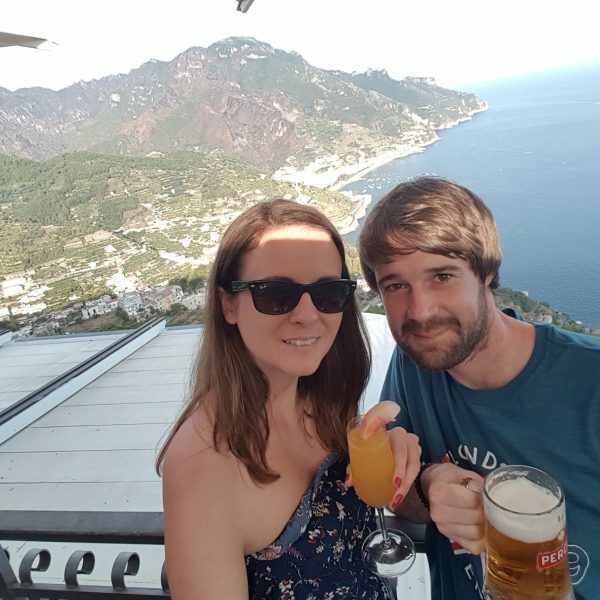 After seeing the Amalfi Coast for ourselves, we said ‘if we get married, we are doing it here!’ and after we got engaged (on Mount Fuji in 2015), we got in touch with Gerry who helped us plan our wedding. 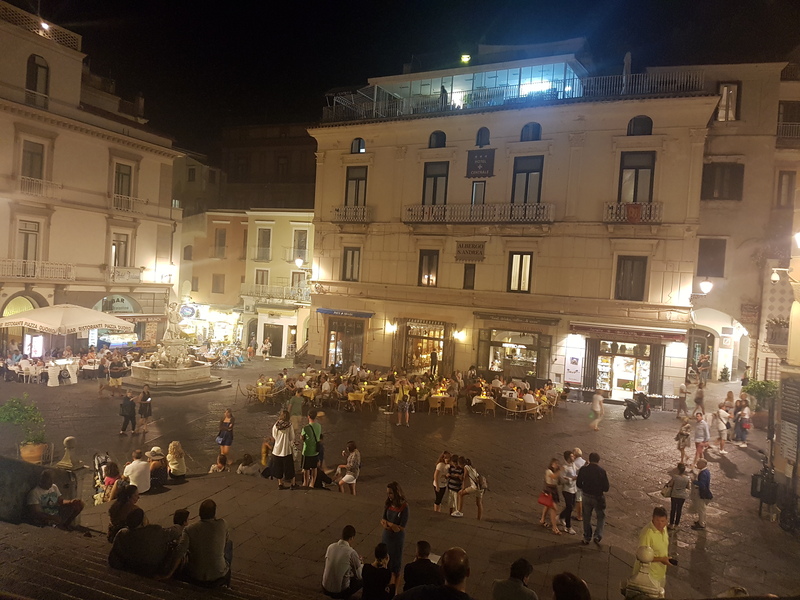 We got married at the Arsenale della Repubblica in Amalfi, went to Villa Knight (where a lot of us stayed) for drinks in the garden and then went to Gerry’s for dinner on the terrace. The day was relaxed, sunny and perfect for us. 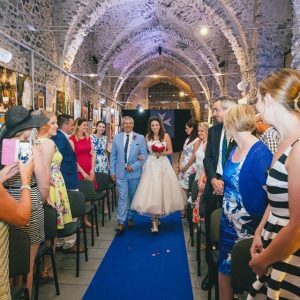 One day I might get round to writing a ‘how to get married on the Amalfi Coast’ blog post (let me know in the comments if you’d be interested in this)! 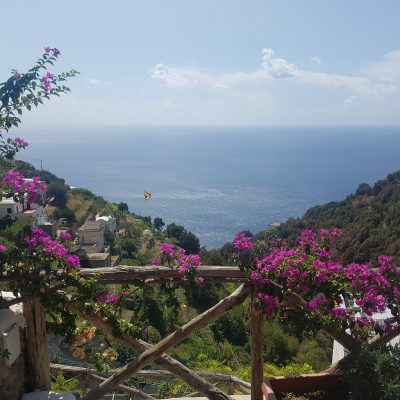 If you’re going to the Amalfi Coast, I highly recommend staying in Pogerola. 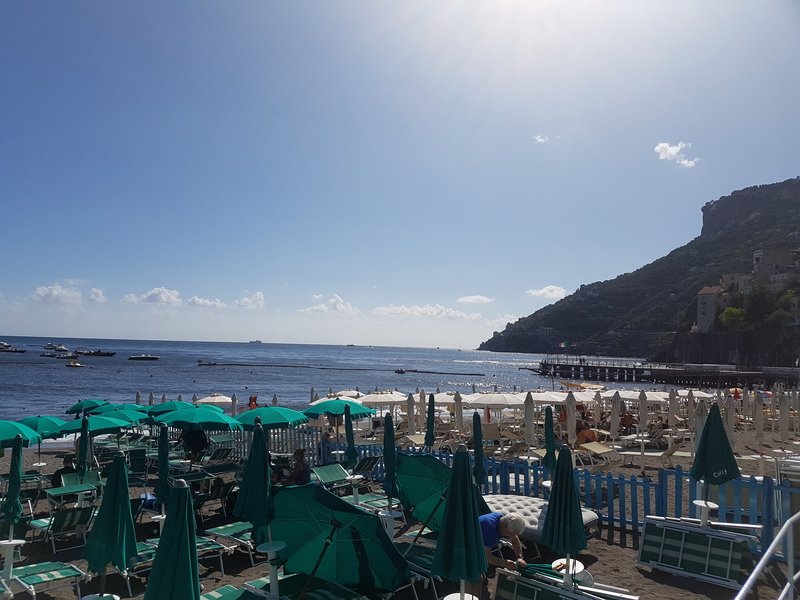 It is slightly off the usual tourist route making it much quieter and more relaxing, but only a short bus journey or walk from Amalfi. 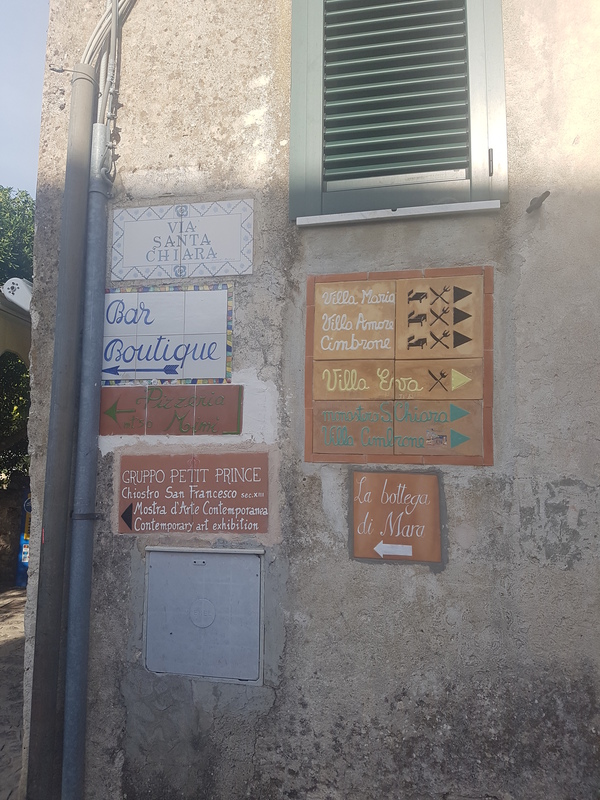 There’s a few bars, restaurants and shops in the village so you can spend days or evenings there if you don’t fancy venturing anywhere and it’s up the hill so there’s beautiful views in every direction. 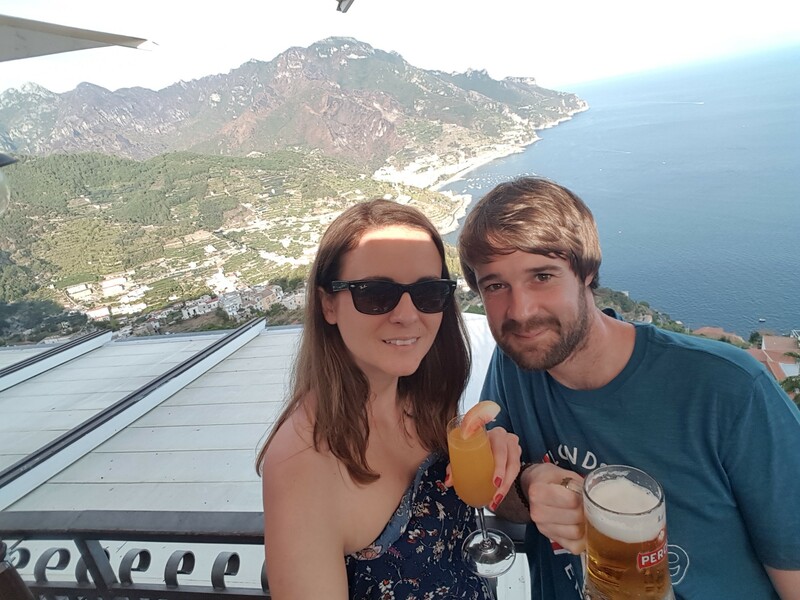 Try Gerry’s Pub for drinks and relaxed food, Trattoria da Rispoli for delicious pasta served by grumpy sisters, La Carcara for tasty pizza and the Cocktail Bar for lunch and drinks with a fantastic sea view. 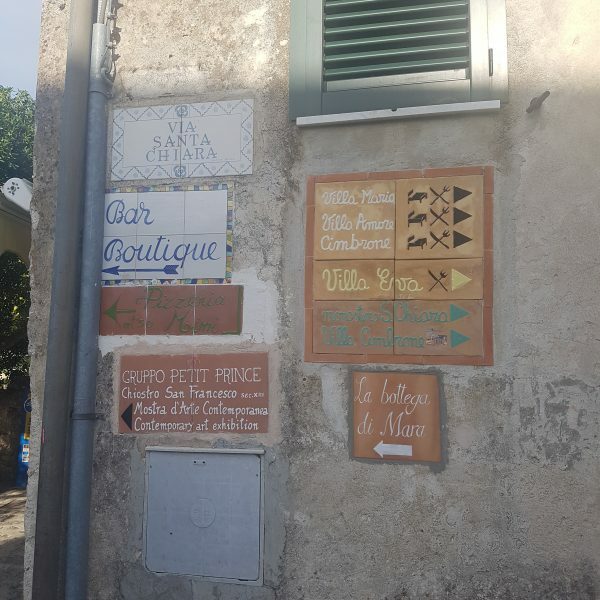 If you have a car and your accommodation doesn’t provide parking, you can find a space near the village square. 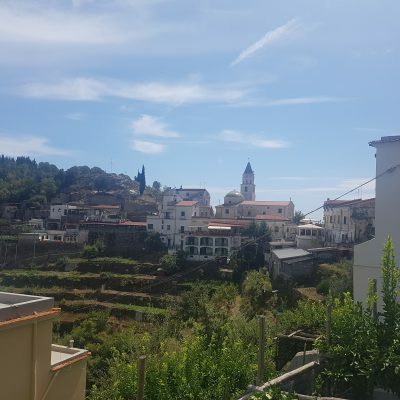 If you’re looking for accommodation in Pogerola, you could contact Gerry (gerryspub@gmail.com) with your dates. He has three apartments and knows of others in the village so can help you find somewhere. If you’re looking for a villa for a big group of people, I’d highly recommend Villa Knight which is owned by another local called Pasquale. 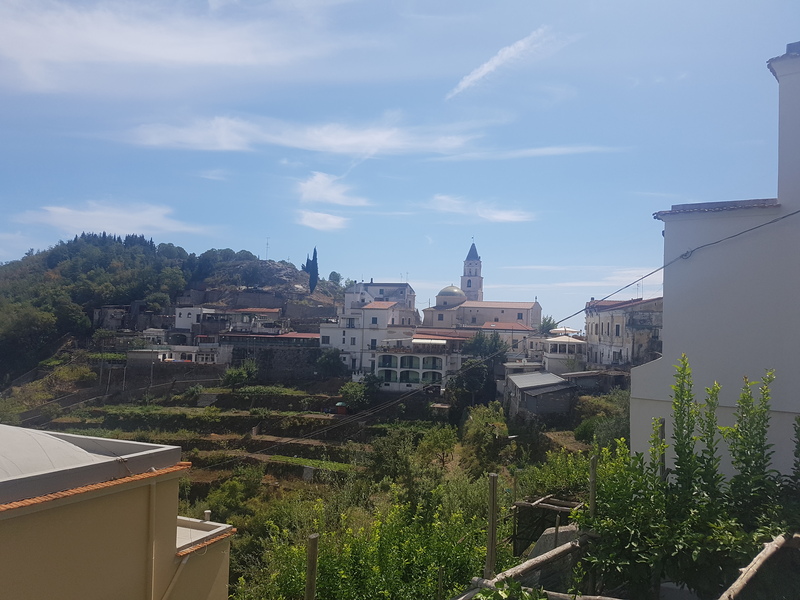 Be aware that the village of Pogerola stretches both up and down the hill from the village square so you might find there are quite a few steps to the centre from where you are staying, or even up to the street to walk to some further steps to square! 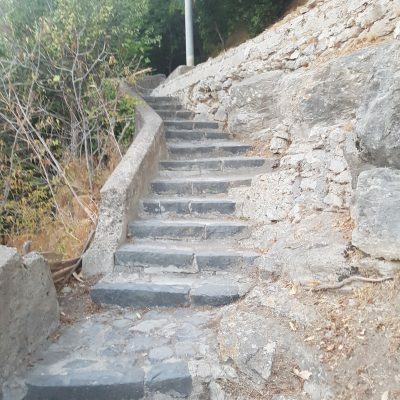 If stairs are a problem for you, make sure you check when you’re booking accommodation. If not, it helps to balance out all the pizza, pasta and gelato! 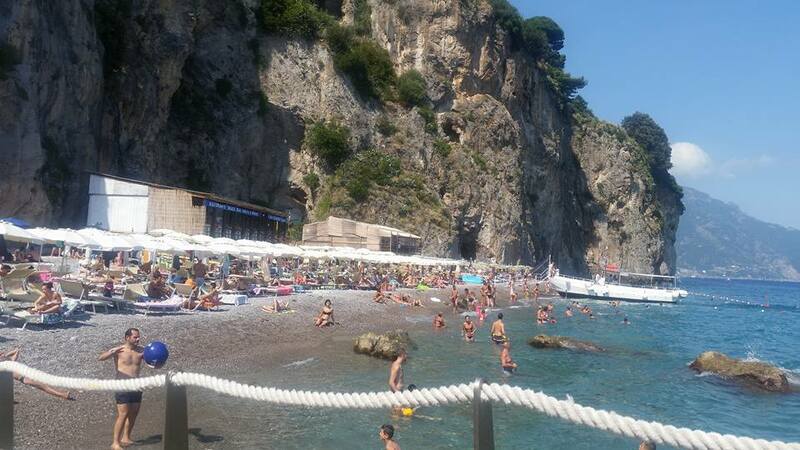 The closest airport to the Amalfi Coast is in Naples so it’s not hugely accessible (perhaps part of its charm?). 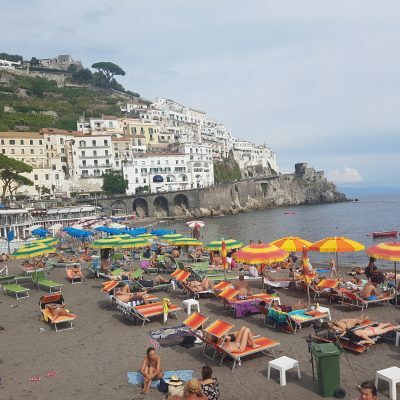 Amalfi is about a 90 minute drive from Naples Airport and about 3.5 hours from Rome. We tend to fly into Rome as the flights there from Edinburgh are much cheaper than to Naples. 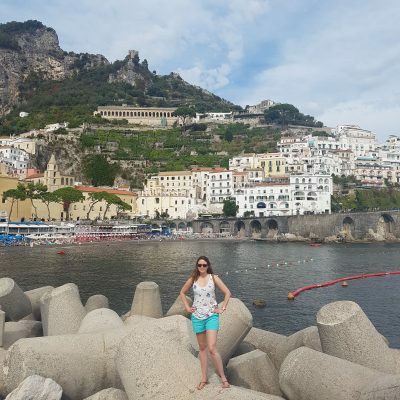 There’s a few options to get to Amalfi from the airports. 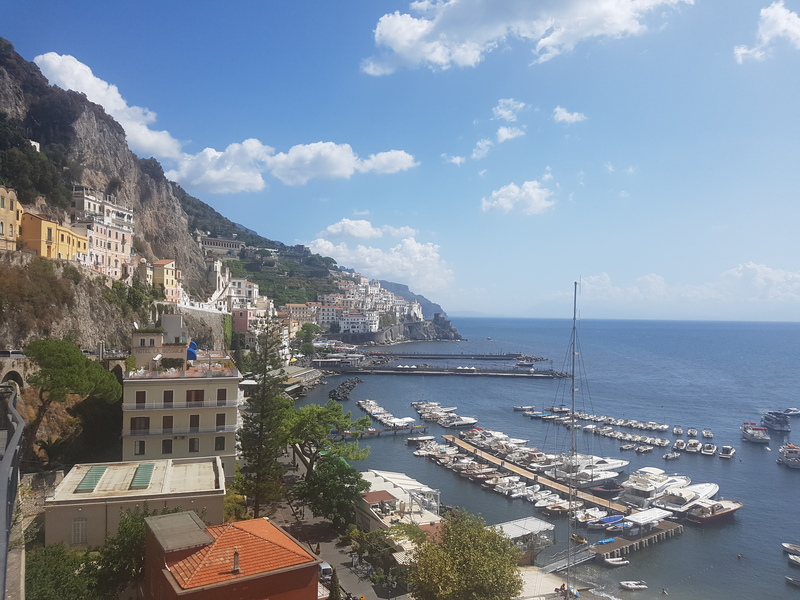 The easiest option is to hire a car and drive – but – the most important thing to note about the Amalfi Coast (aside from its beauty) it that the roads are insane! 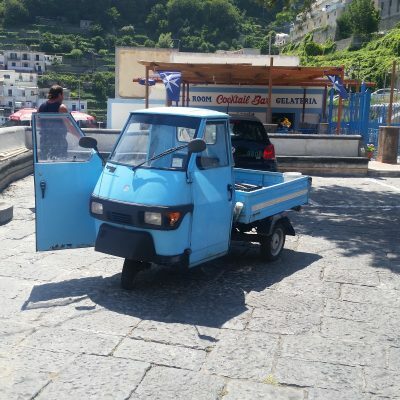 If you are not a confident driver, don’t consider driving on the Amalfi Coast. The roads are narrow, with constant hairpin bends and the added excitement of Italian drivers zooming along. My first time driving on the right side of the road was going from Rome to Amalfi and I figure if I can do that, I can drive anywhere! 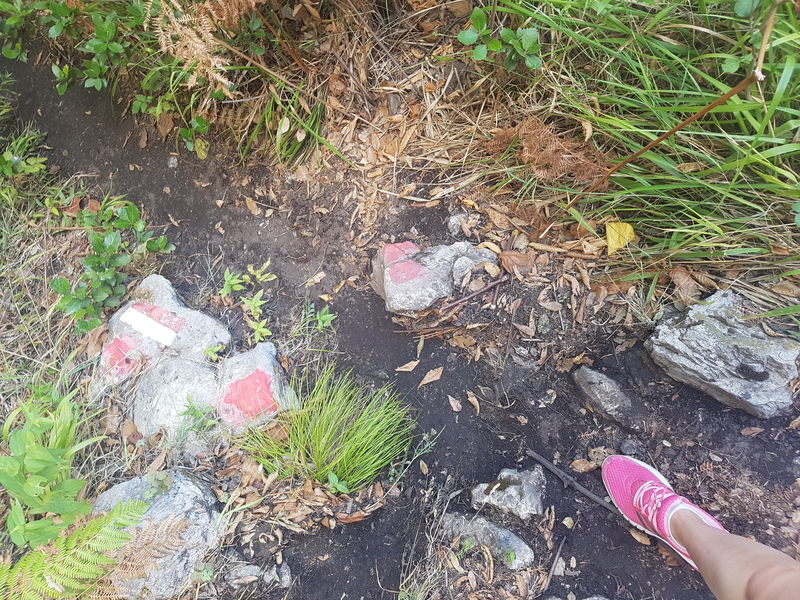 We initially thought that our sat nav was broken as the route looked like spaghetti but it was correct and we wound back and forth along the cliff. 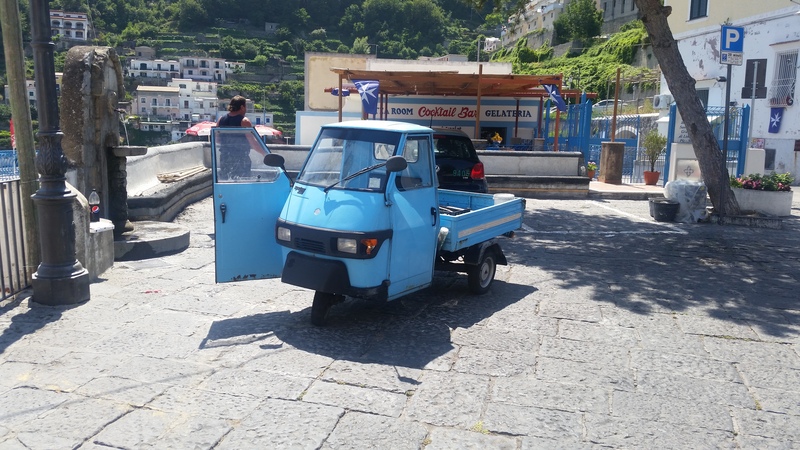 It is very handy to have a car when staying on the Amalfi Coast. As I’ll mention later, there are lots of places in driving distance to visit. However, I found driving mentally exhausting because of how much I needed to concentrate (it made me realise how little I concentrate when driving at home which is a little worrying!) so we tended to only use the car every second day so we could have a break. Another option is to pay for a transfer from the airport. Some of my family and friends did this for the wedding. 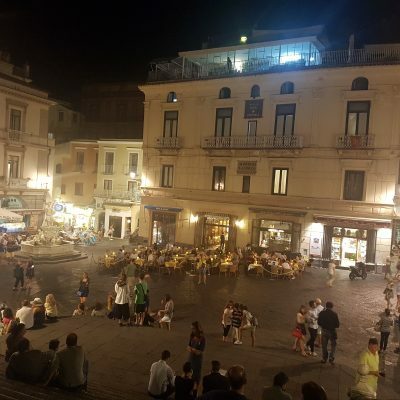 It cost €160 for a transfer from Naples Airport to Pogerola for seven people and about €500 for a transfer from Rome Fiumicino Airport to Pogerola, including a two hour stop in Pompeii. 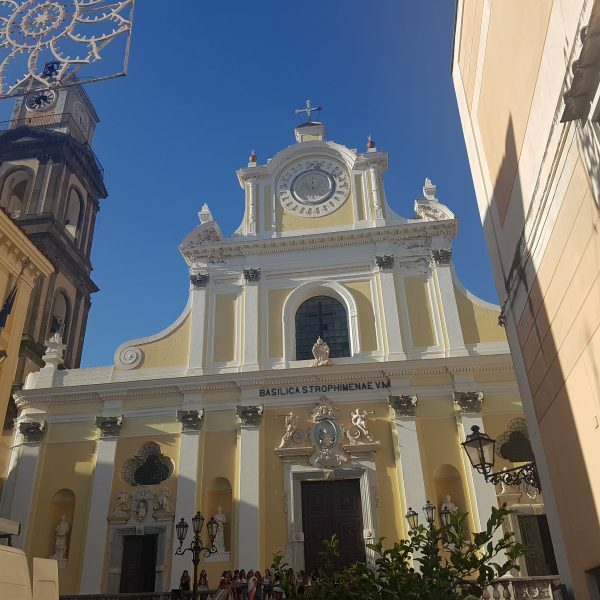 The other, most relaxed, option is to get the train from Rome (2ish hours) or Naples (under an hour) to Salerno and then get a boat along the coast from Salerno. The boat trip is 35 minutes and a good first glimpse at the beautiful coastline. 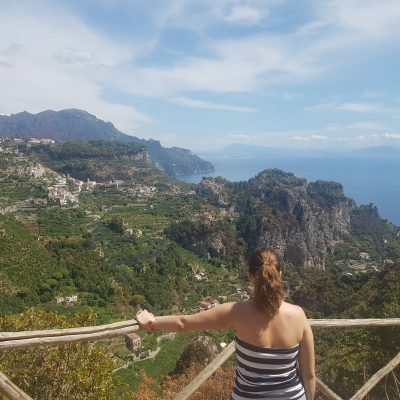 Parking in Amalfi and surrounding areas is difficult and expensive so I would avoid taking the car locally if you can. A lot of places are walkable (e.g. 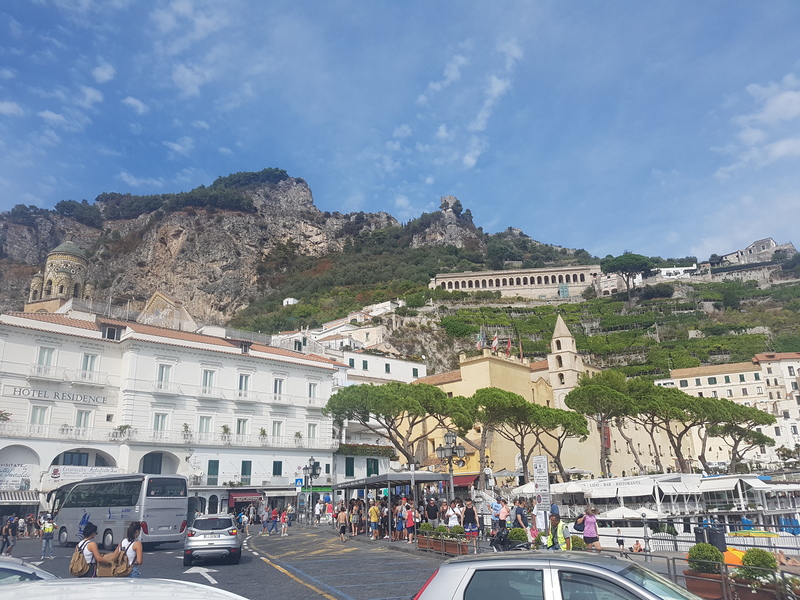 Pogerola to Amalfi) and there’s a great bus service operated by Sita. Tickets are reasonably priced and you need to buy them before you board and stick in the machine on the bus to validate it. 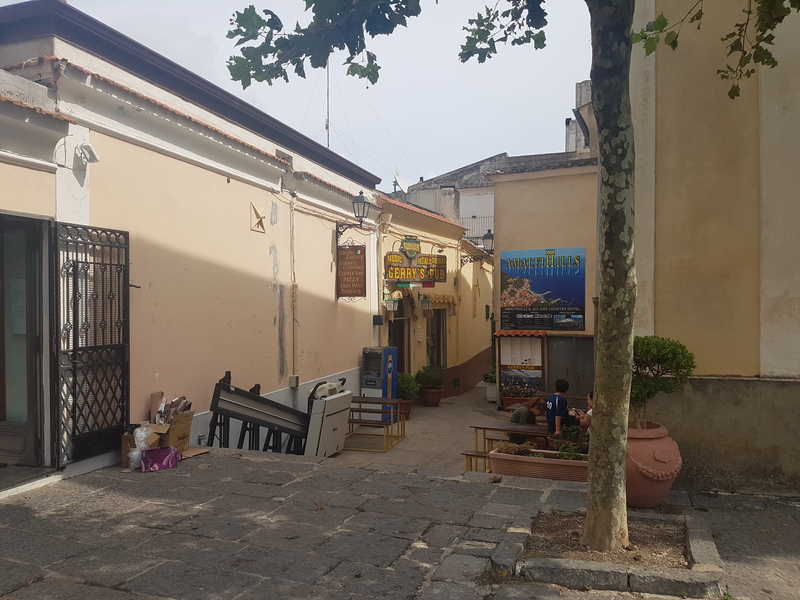 In Amalfi you can buy tickets at the little ‘Tabacchi’ shop across the road from the bus stop. The timetables are displayed at the bus stop in Amalfi but are confusing to work out what time is for each day. The last bus leaves Amalfi at about 10pm and taxis are very expensive so try not to miss it! Capri – Take a boat trip from Amalfi to the island of Capri. 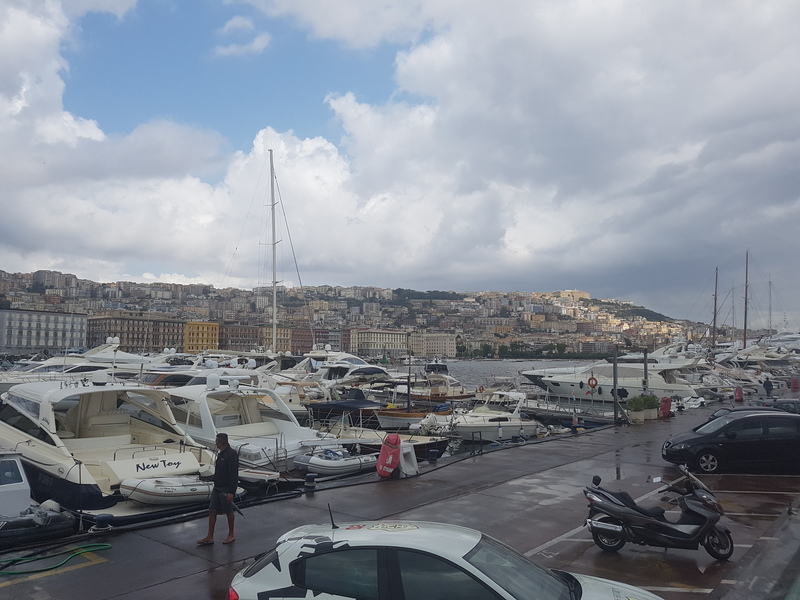 There’s various companies down at the waterfront in Amalfi that you can book with. You can also go to the Blue Grotto, which is a sea cave on the island’s coast. 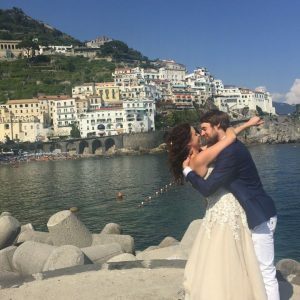 I feel like I need to give Capri a second chance. I’ve only been once, back in 2010 and wasn’t a big fan of the island. It was full of day-trippers (like ourselves!) so very busy and everything was so expensive. There’s lots of luxury shops selling designer goods and the hotels are very high end. 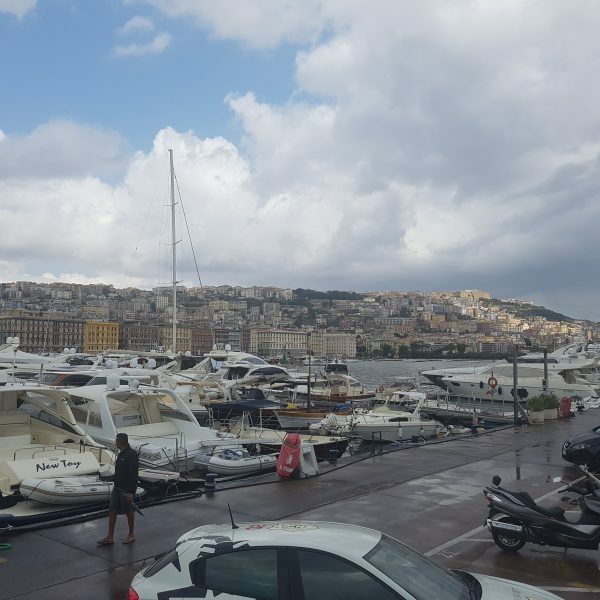 I felt like it is an island for the rich, with a lot of extra, poorer people (like ourselves!) visiting for the day to have a wander around and get on the late afternoon boats back to the mainland. 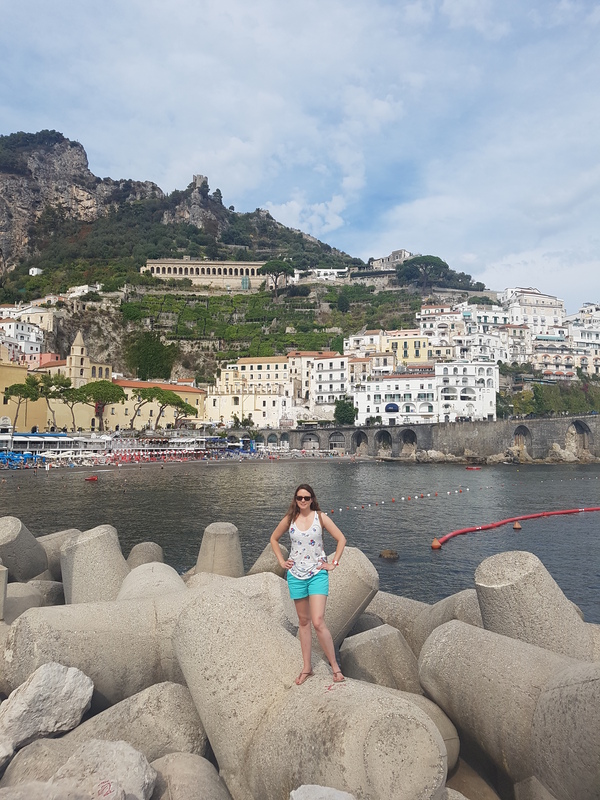 However, people who I have spoken to that have visited more recently really loved the island so maybe next time we visit the Amalfi Coast we’ll take a trip back. Positano – Positano is the ‘poster child’ for the Amalfi Coast and the place that you will have seen on all the photos/postcards. 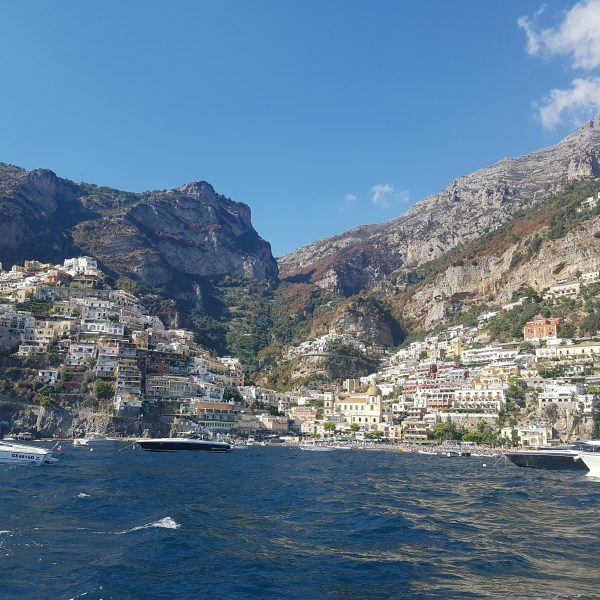 I went on boat trip along the coast this year and stopped at Positano for a few hours. 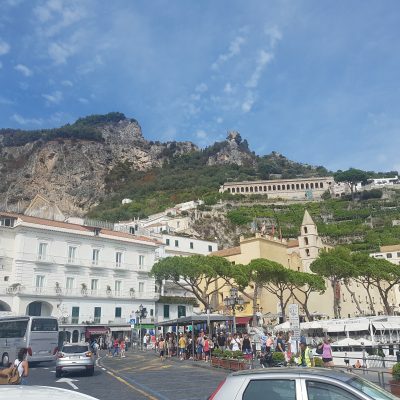 As with Capri, I found it very touristy with lots of expensive shops and restaurants. 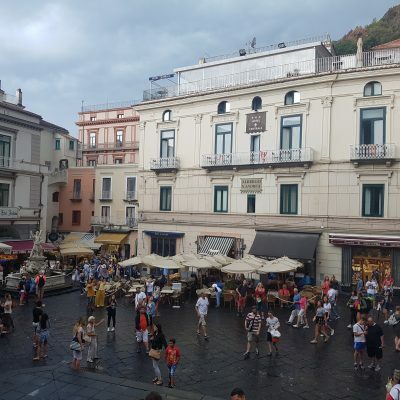 I prefer Amalfi as a town as, although it’s very touristy, the cost of everything seemed to be more reasonable. 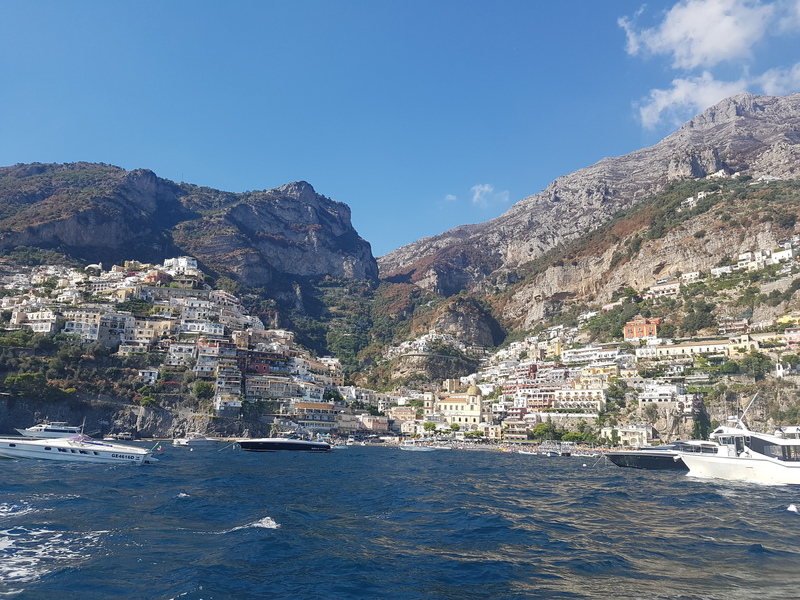 If you want to visit Positano, you can take a boat trip and there’s also a local SITA bus that goes there from Amalfi. Pompeii – Pompeii is about an hour’s drive along the spaghetti roads from Amalfi and definitely worth a day trip, especially if you’re a fan of Roman history. The town was buried under volcanic ash when Mount Vesuvius erupted in 79AD and everything, from the streets to bodies, were preserved. 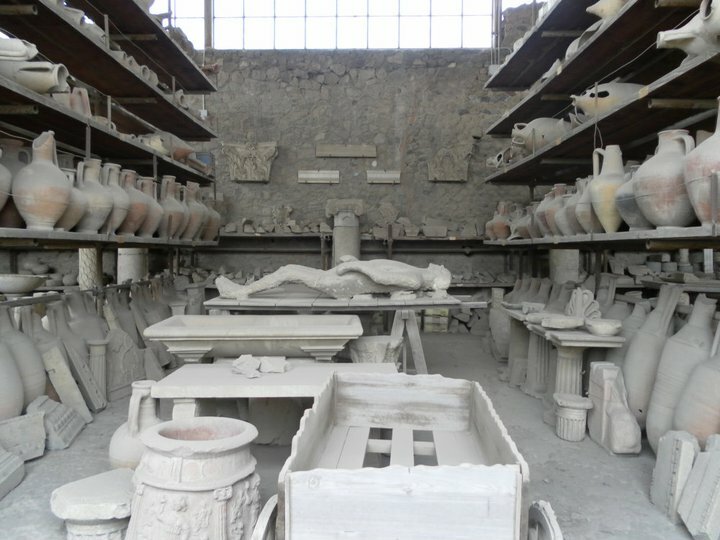 Since its discovery in 1748, Pompeii has been the longest continually excavated site in the world. I admit, I am not a massive fan of Roman history (unlike my husband who may be its #1 fan!) 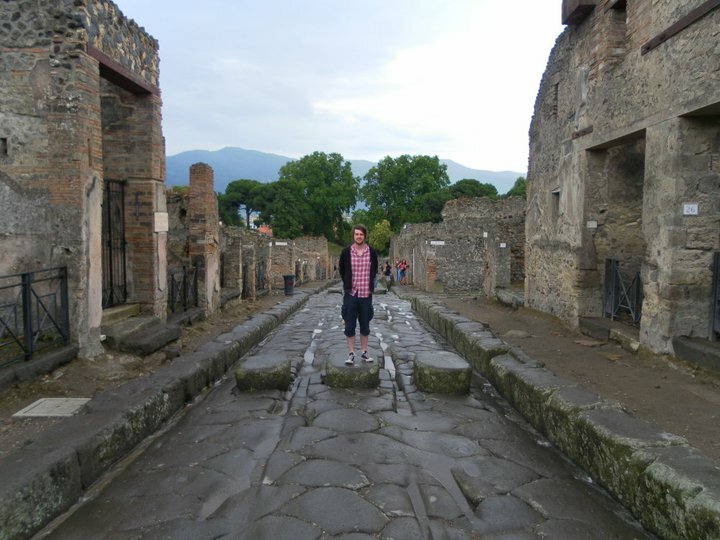 but Pompeii is an amazing site. 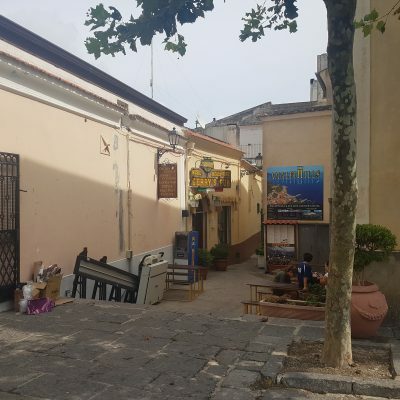 The sheer scale of the place is astounding and the smaller details, like the cart tracks on the roads and the frescos on the house walls, helped to bring the town to life in my imagination. If you’re visiting Pompeii, there’s not much shade to escape from the sun so make sure you’re prepared with hats, sunscreen and plenty of water. Also, I’d highly recommend bringing a picnic as there wasn’t much worth buying there to eat. By the 8th hour (David is a HUGE fan) of wandering around in the blistering sunshine with no food, I was pretty damn grouchy and had really lost all interest in the frescos! From the motorway, Pompeii is signposted as Scavi di Pompei. Herculaneum – I would describe Herculaneum as a bite sized, less touristy version of Pompeii. The two ruins are about a 20 minute drive from each other and each is a preserved town which was covered in the same Vesuvius eruption. If you are short on time or want to get away from the crowds, I’d recommend visiting Herculaneum instead of Pompeii. I actually preferred it to Pompeii as it’s much more chilled out.From the motorway, Herculaneum is sign posted as Scavi di Ercolano. 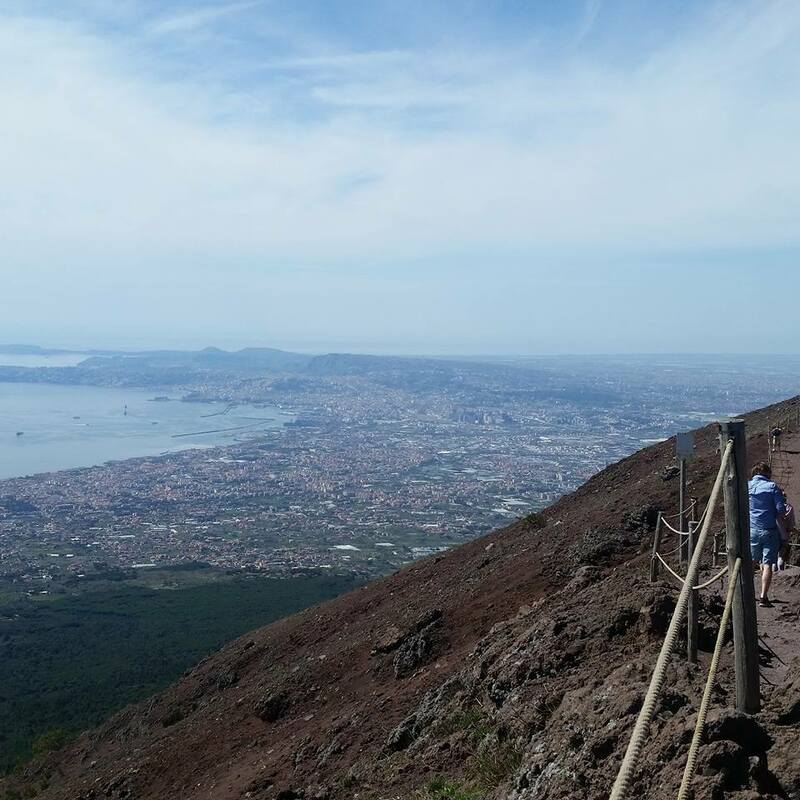 Vesuvius – As well as visiting the towns that Vesuvius destroyed, you can also visit the volcano itself. Although worryingly classed as an ‘active’ volcano, it hasn’t erupted since 1944 (which isn’t very long ago and surely a little concerning for those living in Naples!). 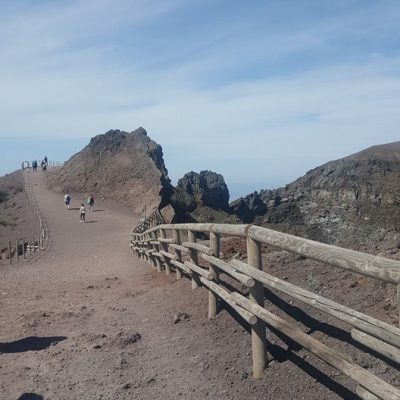 To climb Vesuvius, you need to visit Park Nazionale del Vesuvio and get on a bus with massive wheels which takes you almost to the top, and then walk for about 20 minutes. 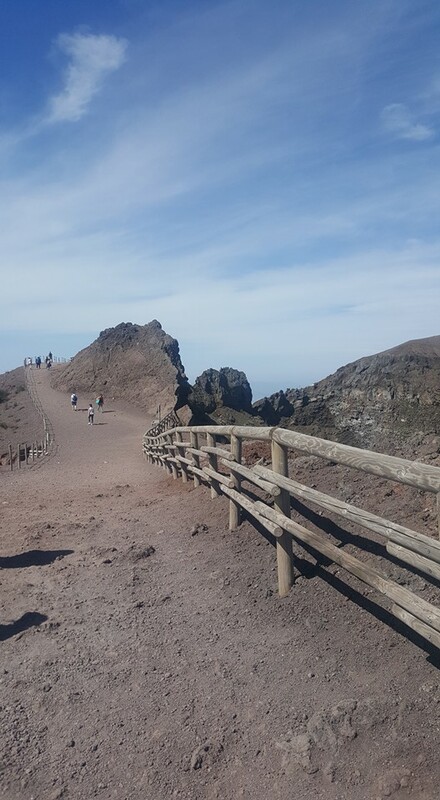 Guides will show you a few things like smoke coming out the crater and you can admire the views of the bay of Naples. There’s a little shop at the top which sells things like beer, hot chocolate and snacks. 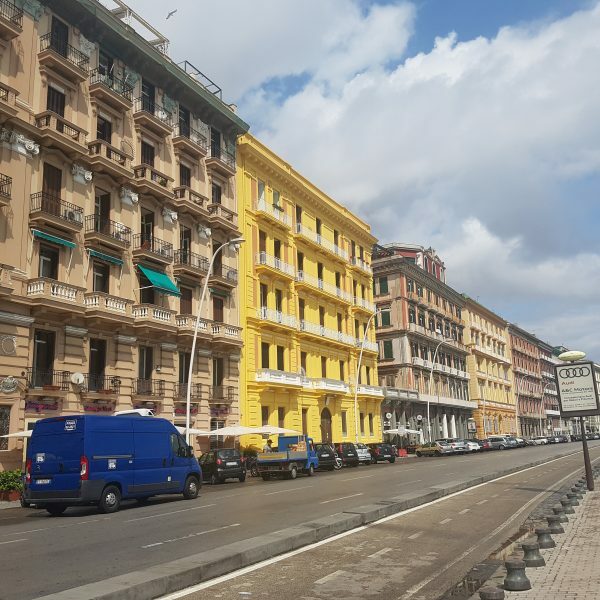 Naples – Naples, Naples, Naples… I don’t know what to make of Naples and, like Capri, I definitely need to give it another chance. 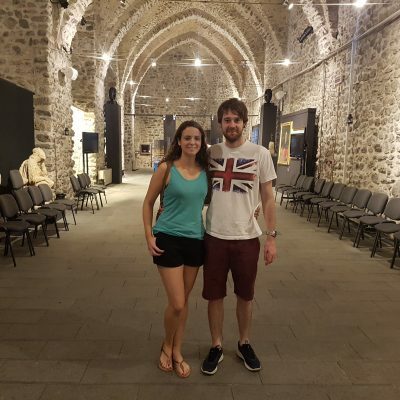 We visited in 2010 and went to a museum about Roman history (guess who picked that!) and ate some pizza (where pizza was invented!). My overall impression after that brief trip was a graffiti covered city which felt quite unsafe. When we visited again in September this year, I hoped to have time to properly explore but bad traffic meant we only had time to get lunch and a quick wander before going on to Rome to catch our flights. Our walk took us along the seafront which was much prettier than the area I remember from 2010. And the pizza – wow! 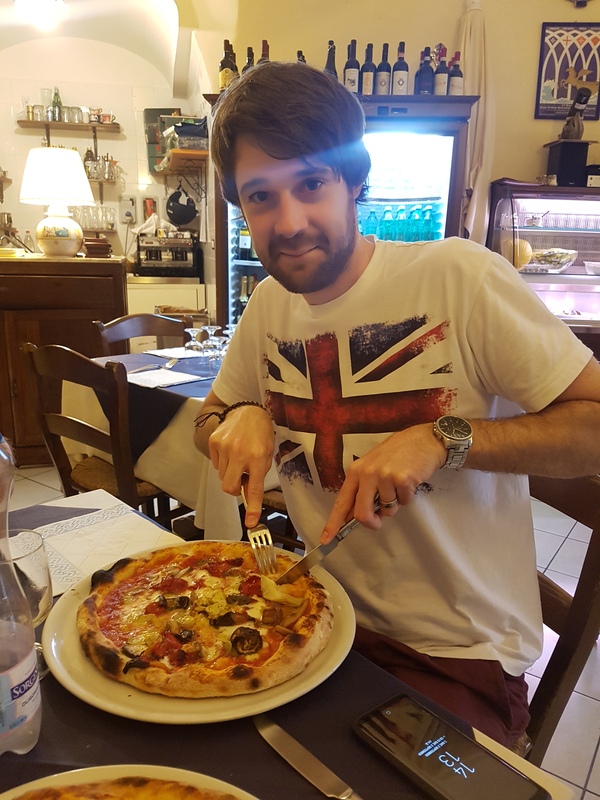 As I said, we didn’t have much time so used TripAdvisor to find a highly ranked pizza place near us. 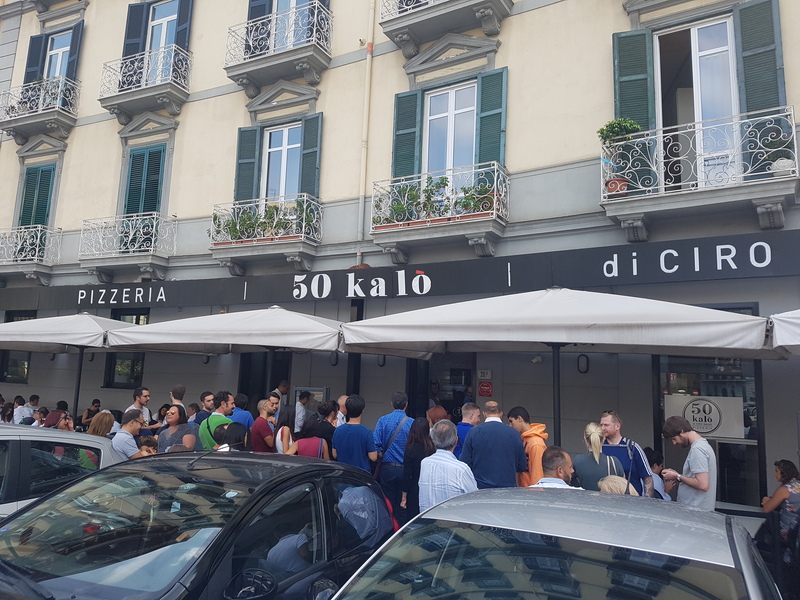 We followed the map to 50 Kalò di Ciro Salvo and were surprised to find a massive queue outside. 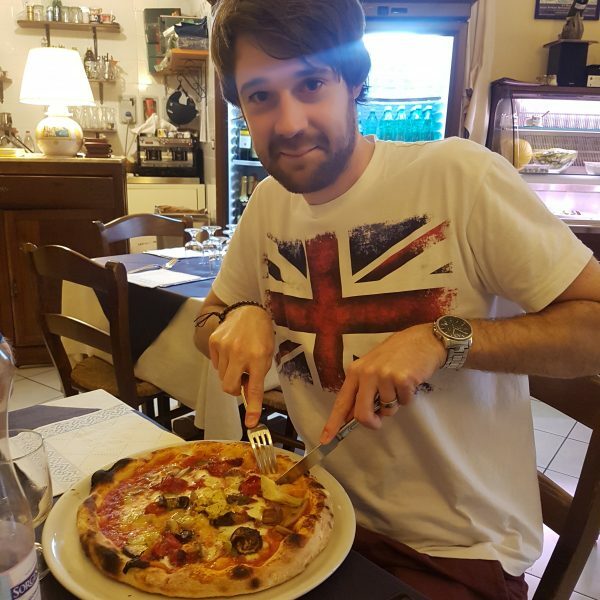 While waiting for about 25 minutes for a table, we discovered that it was a Michelin star restaurant and was ranked in the top 10 pizzerias in the world! Well worth the wait for the amazing pizza with delicious, light, spongy dough. 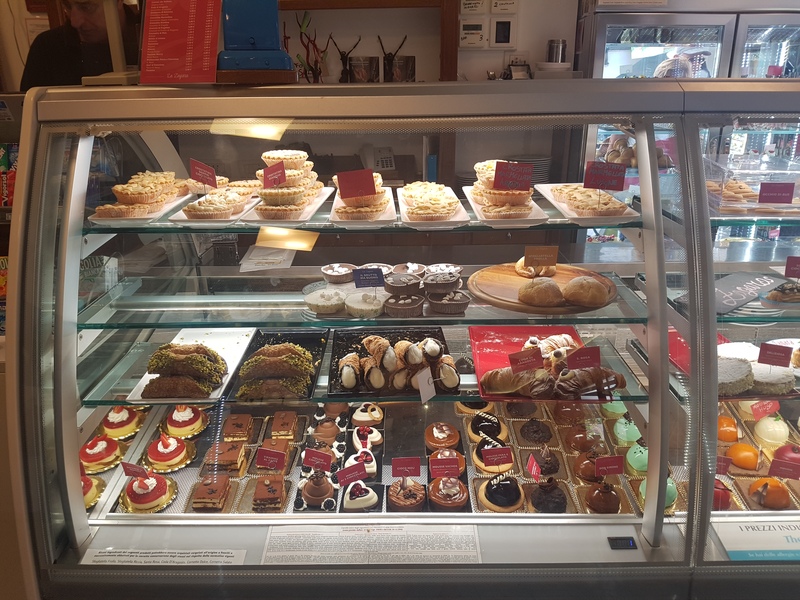 Mmmm, considering jumping on a flight back to Naples now… One thing to note is that the menu is only in Italian so be prepared for some quick Google translating if you don’t speak Italian. 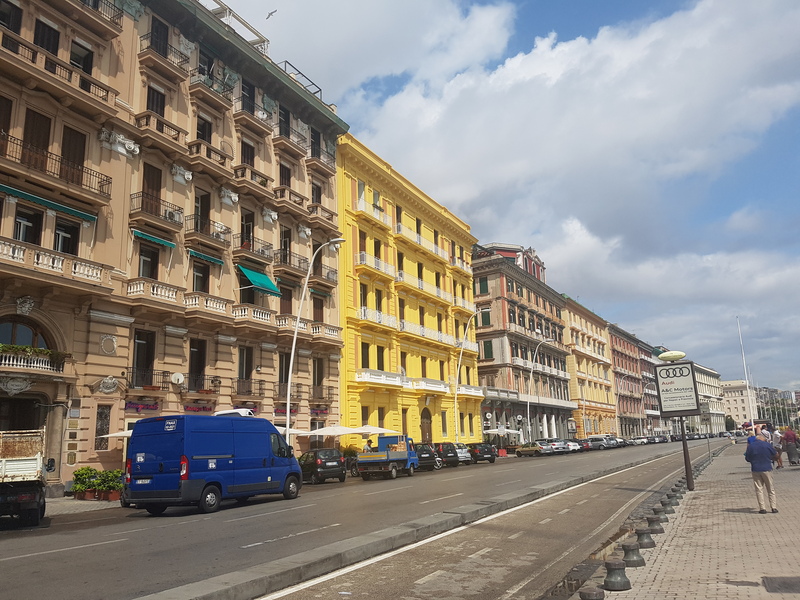 Anyway, I am not ready to write off Naples yet and will go back one day to explore the misunderstood city propery (and probably swing by 50 Kalò too…). 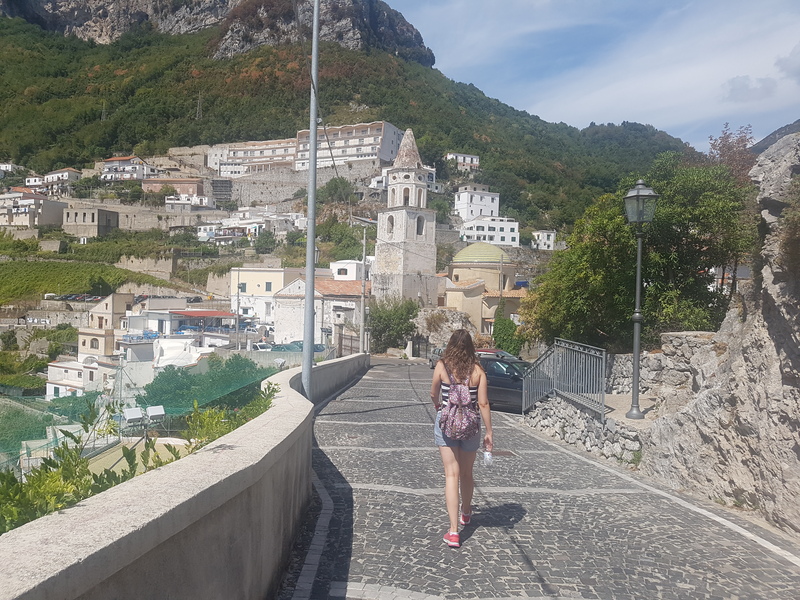 Hiking – If you fancy leaving the car behind and you like walking, there’s lots of routes along the Amalfi Coast that allow you to avoid the road (driving on them is bad enough). 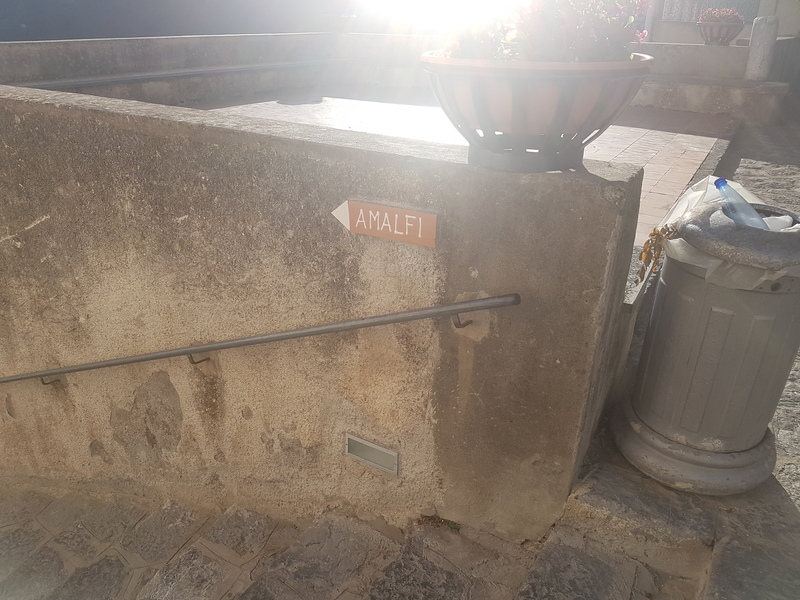 Firstly, most of the towns up the hill will have steps that you can walk down to get to Amalfi. From Pogerola this takes about 40 minutes at a leisurely place. If you’re looking to go a little further, you could try the Valle delle Ferriere. 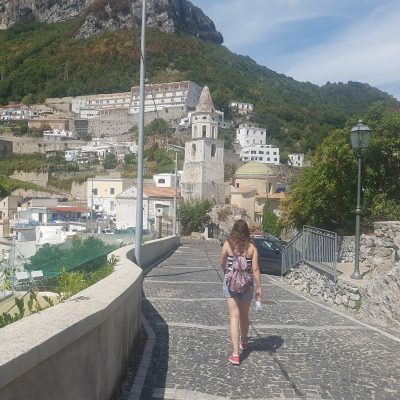 I think this walk officially starts in Amalfi and ends in Pontone, however we walked it from Pogerola to Scala and ended in Amalfi so I guess we added on an extra section. 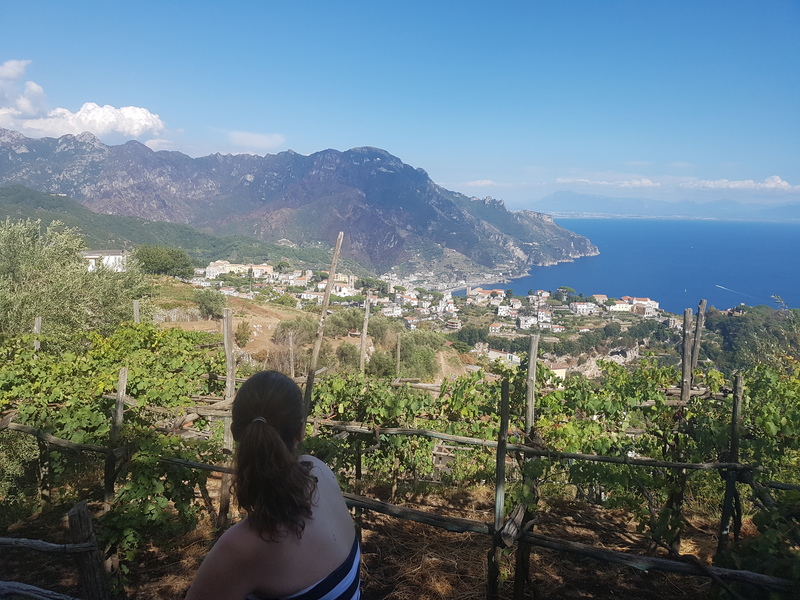 From Pogerola, you can see across the valley to Ravello so David and I (naively) decided we’d spend the afternoon having a leisurely walk to Ravello, packing only a small bottle of water each. 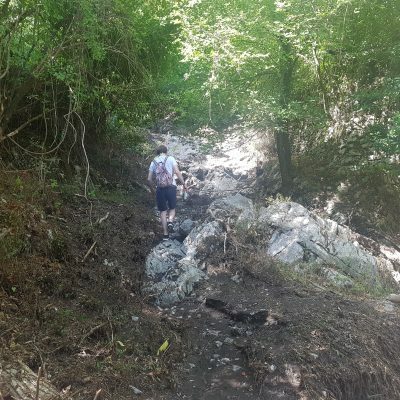 Four hours later, we had walked across the valley (which wound back and forth) through forests, waterfalls, cliffs and rivers to arrive in Scala! 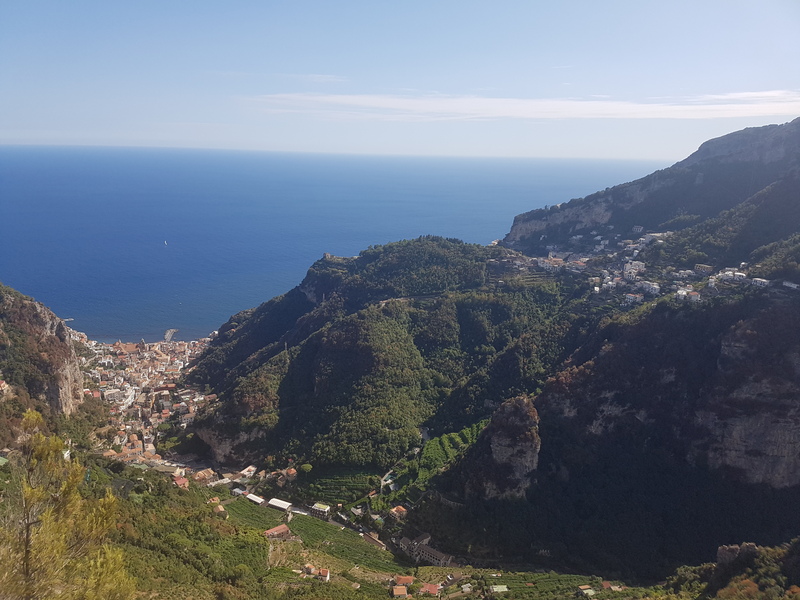 That’s allowing about 30 additional minutes to take photos of the amazing views along the way.As it had taken us so long, we decided against carrying on to Ravello and planned to get a bus to Amalfi and then back up to Pogerola. However we had just missed a bus so decided we’d walk back down to Amalfi. Fast forward a couple of hours and we had covered a total of 32k steps after walking down to Amalfi, via Scala and back up to Pogerola. We earned our pizza that day! 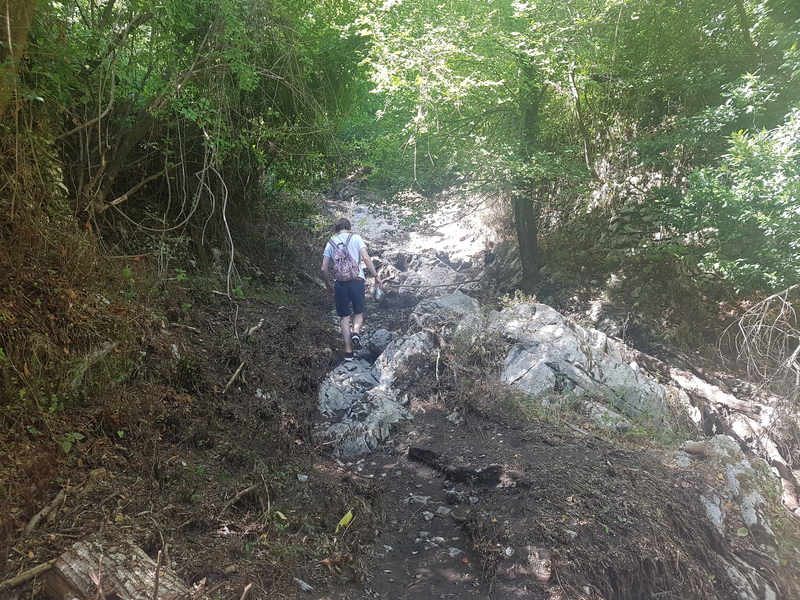 The actual walk isn’t too steep or strenuous (apart from the steps up to Pogerola) but I’d recommend packing a little more water than we did! We walked in September when it wasn’t too hot but you’d definitely need a lot of water if you’re hiking in the height of summer. 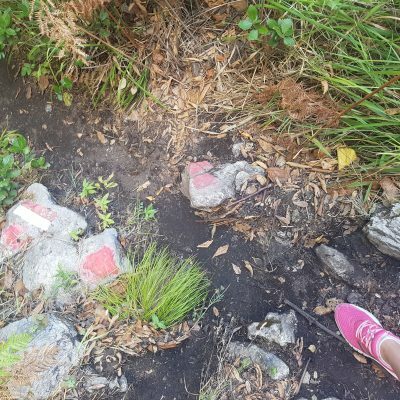 Along the route there are stone markers to show the trail. Another hiking route, which I think is quite famous is the Sentiero degli Dei, or “Path of the Gods”. 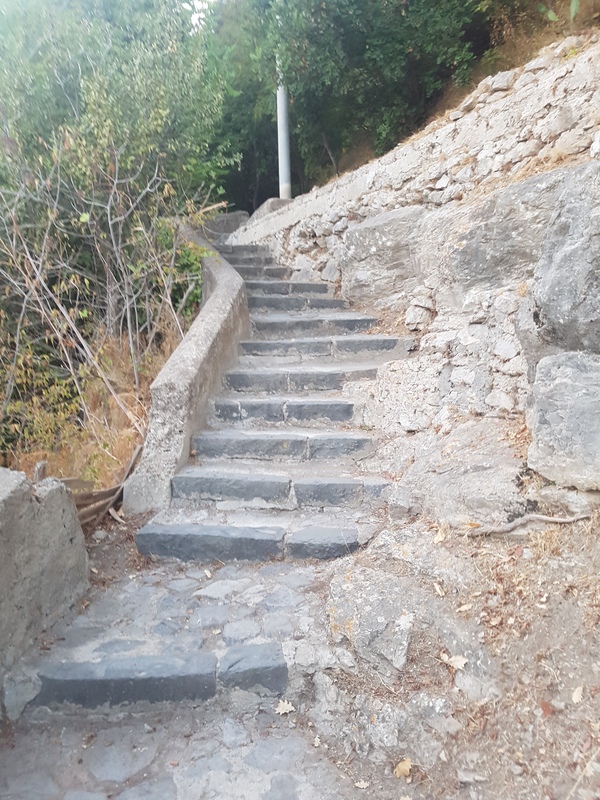 I haven’t walked this but the path leads from Agerola to Positano. I spoke to someone on our boat trip who had got the bus from Amalfi to Praiano and walked from there to Positano. Google maps says this will take 2 hours 20 mins. 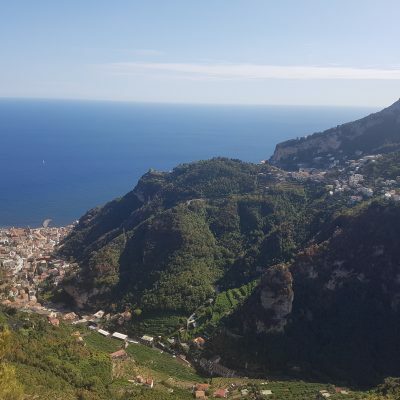 Ravello – I’ve visited Ravello a few times for a wander around. We’ve only had a few drinks and haven’t eaten anywhere as all the places we looked at seemed to be much more expensive than Amalfi. There’s a bar down a few steps from the bus stop which has great views along the coast (a contender for the bar with the best view in my opinion!). The town also has a music programme for their stage which overlooks the sea. There’s never been anything on that we’ve been available to attend but I think it would be a spectacular setting for a concert. 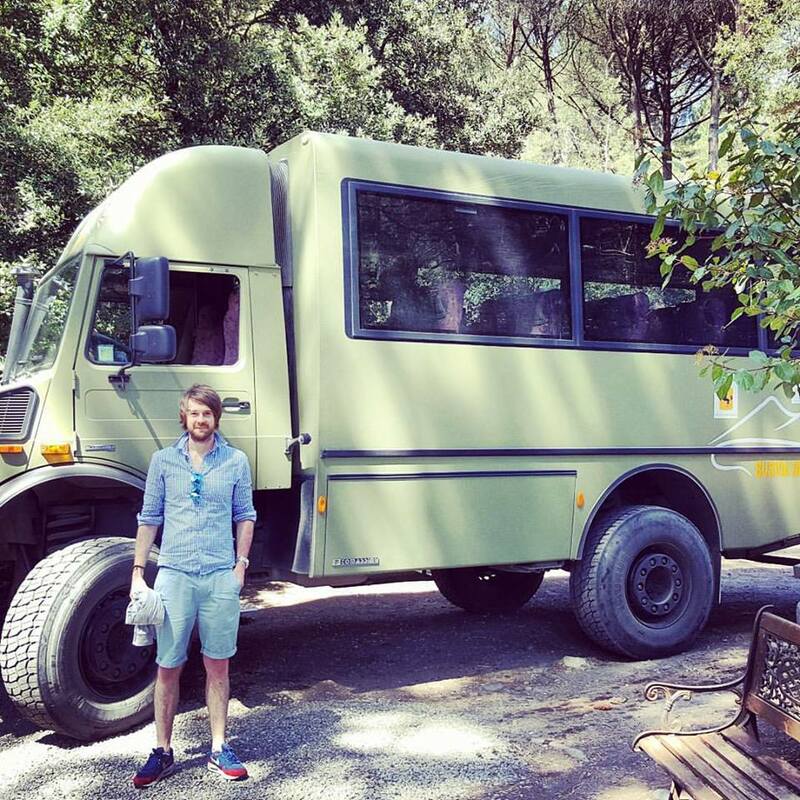 There’s a tour bus that goes from Amalfi to Ravello but you can also just hop on the Sita bus. 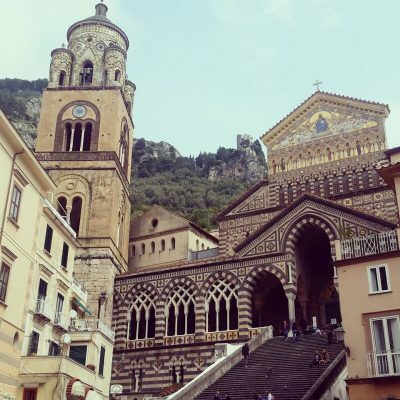 Other places you can visit from Amalfi are the towns of Salerno, Sorrento, Maiori and Minori. David and I drove to Salerno when we visited last Easter but it was a very rainy day so we didn’t see it at its best. 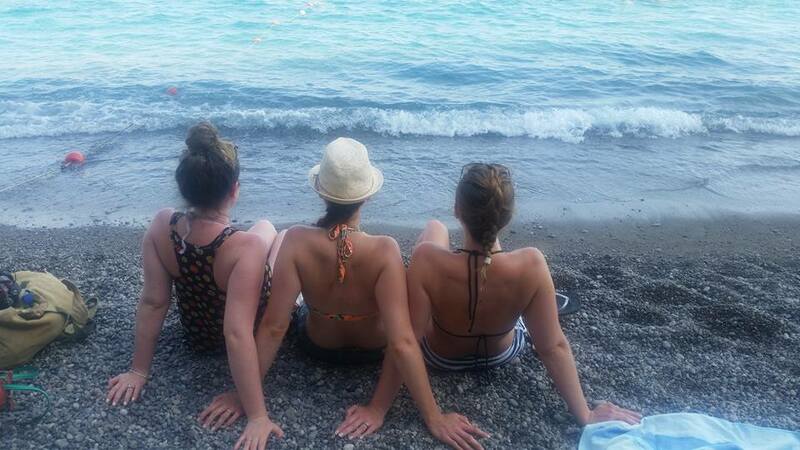 And this September we drove along to Minori to laze on the beach for a few hours. 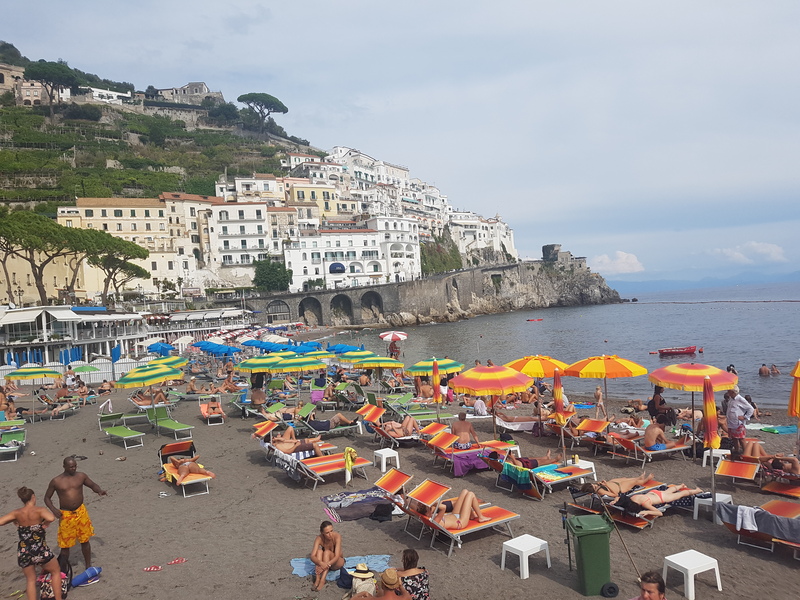 If you’re looking for more beach options, there’s a ‘spiaggia’ boat that leaves from Amalfi and goes along the coast where you can hop off/on at different beaches. Most importantly – food! As with most towns around the world, if you sit right in the centre, prices are the highest. 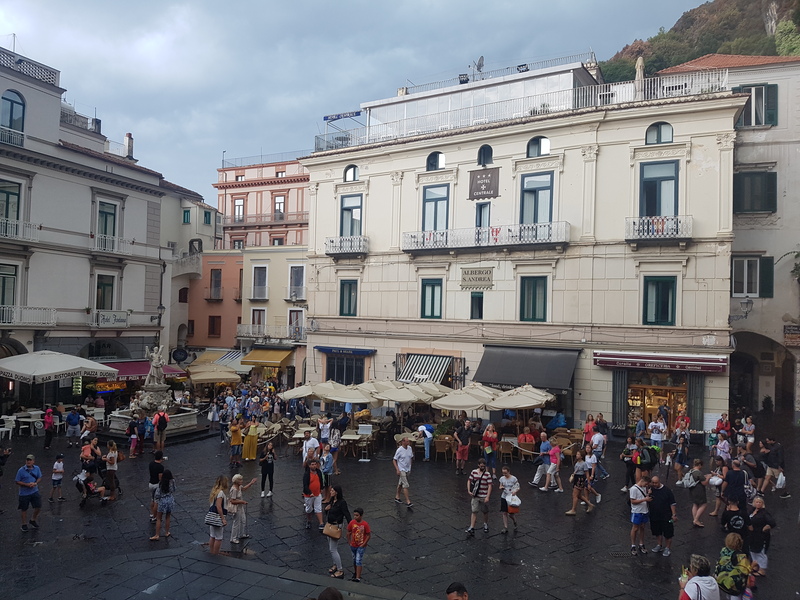 There’s a few places at the bottom of the steps of the Duomo di Amalfi and they are extortionate, so take a little walk along the alleys to the smaller squares to find places selling delicious food at a fraction of the price. 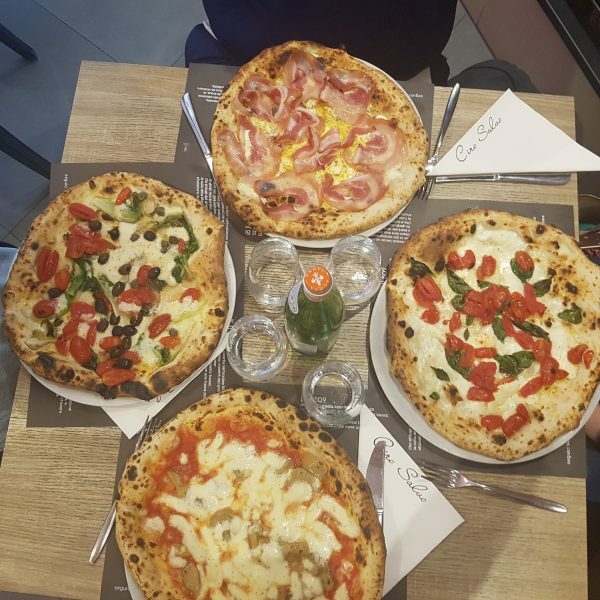 Donna Stella – a local told us that Donna Stella sold the best pizza in Amalfi and it didn’t disappoint! The tables are outdoor in a lemon grove and there’s lemon spritz on the menu. 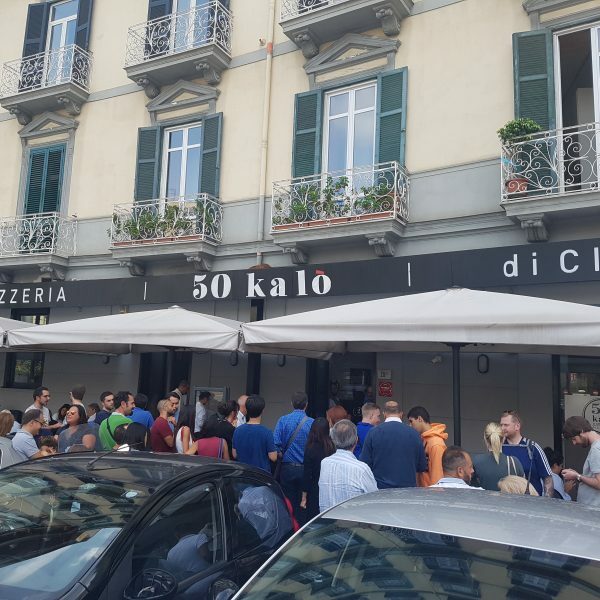 The restaurant is less than a five minute walk from the Duomo but make sure you check where it in on a map as it’s slightly hidden away. 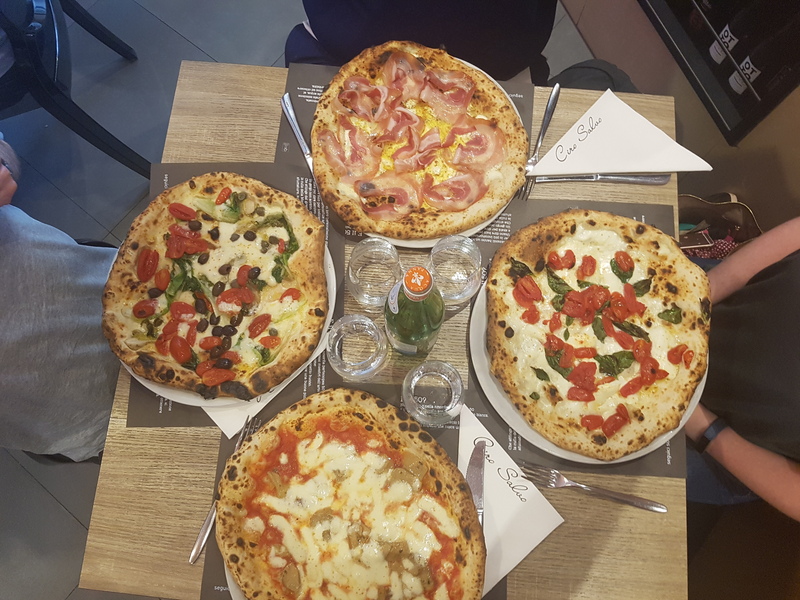 La Taverna di Masaniello – more great pizza. We went with a big family group when everyone was visiting for our wedding and they were very accommodating. 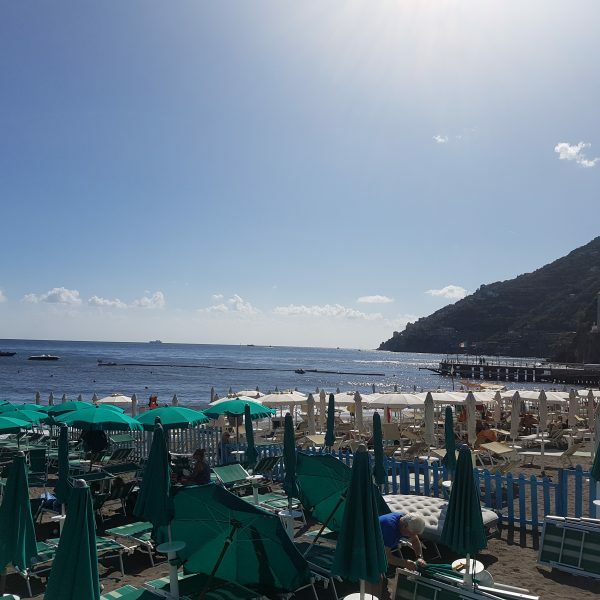 Lo Smeraldino – nice restaurant with terrace on the seafront. Slightly more expensive that the two above as you have the sea view. 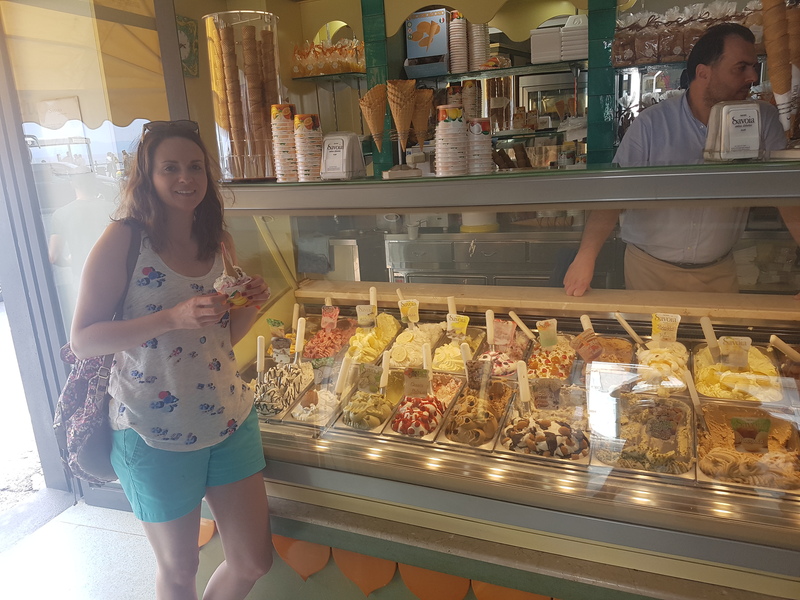 Savoia – gelato! Across the road from the bus stops. 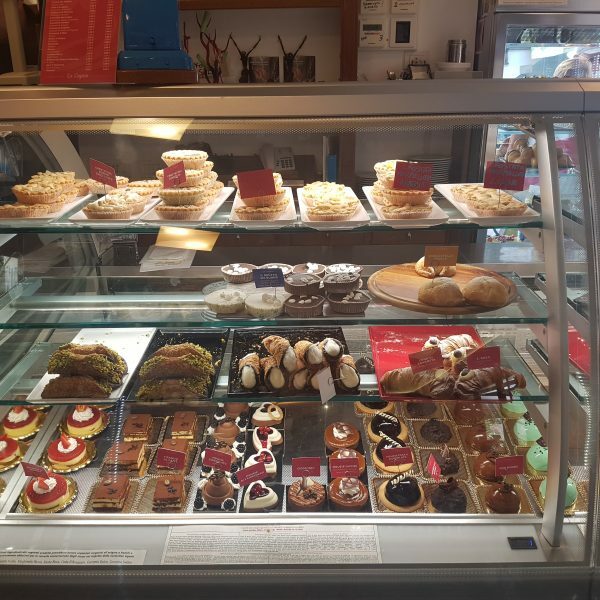 Lots of delicious flavours to choose from. 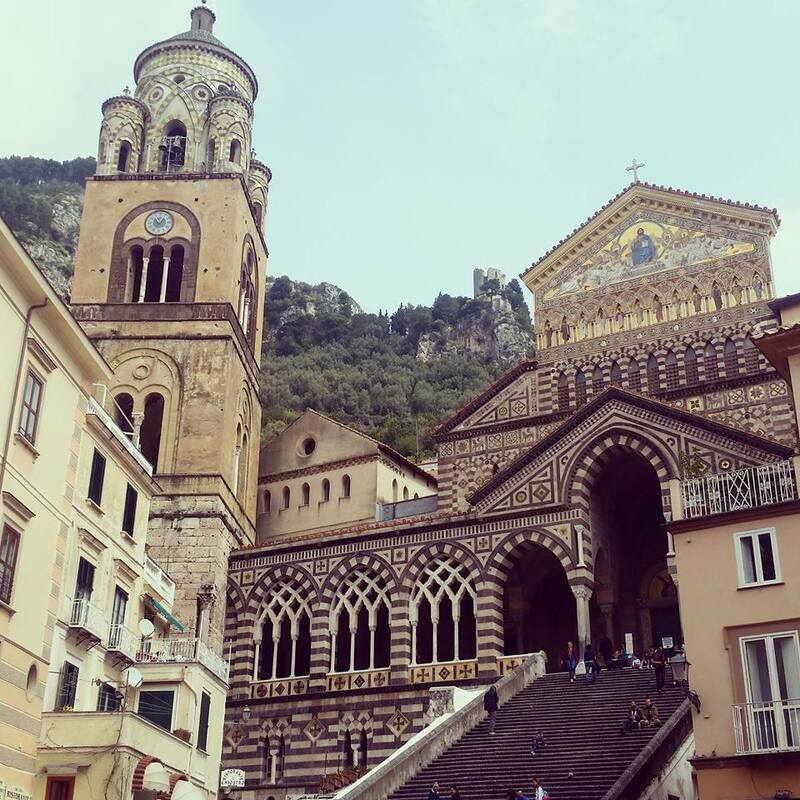 Amalfi is a lovely town to just wander around in (while eating gelato) and soak up the atmosphere. There’s a few beaches you can laze on, souvenir shops to browse and fruit shops selling the biggest lemons you have ever seen. When we visited in September, the weather was often very rainy so we did a few indoor activities. 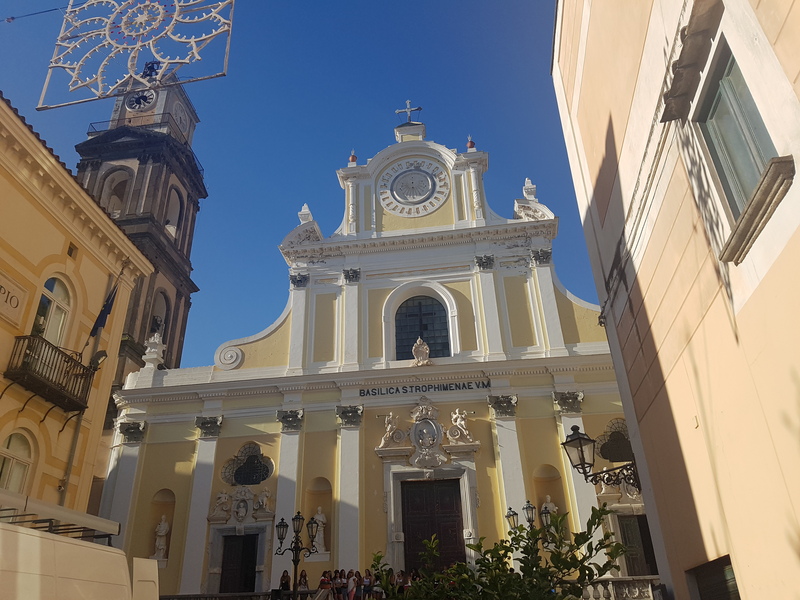 Duomo di Amalfi, Cattedrale di Sant’Andrea – the beautiful cathedral in the main square in Amalfi. It is dedicated to Saint Andrew and his relics are kept here. 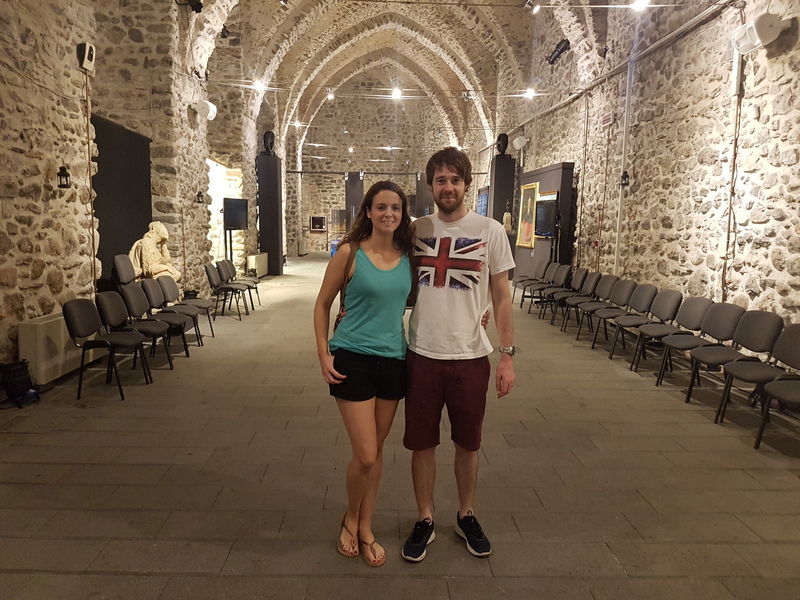 For a small entry fee of about €3 you can visit the museum, crypt and cathedral. Arsenale della Repubblica – the town’s ancient shipyard. 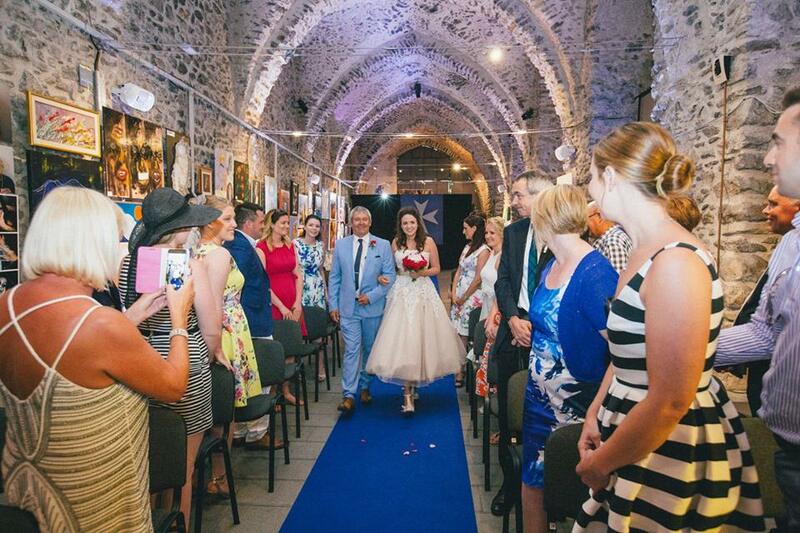 As well as being available as a wedding venue (and where we got married! 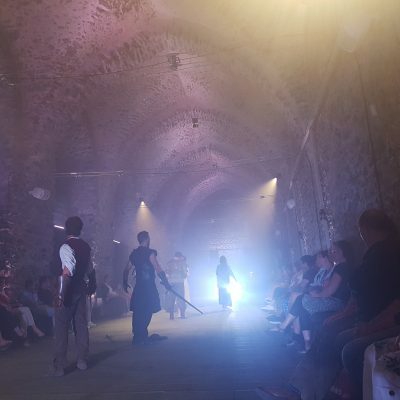 ), the Arsenale della Repubblica holds art exhibitions by day and the Amalfi Musical on Wednesday and Saturday nights (this may just be during peak seasons). 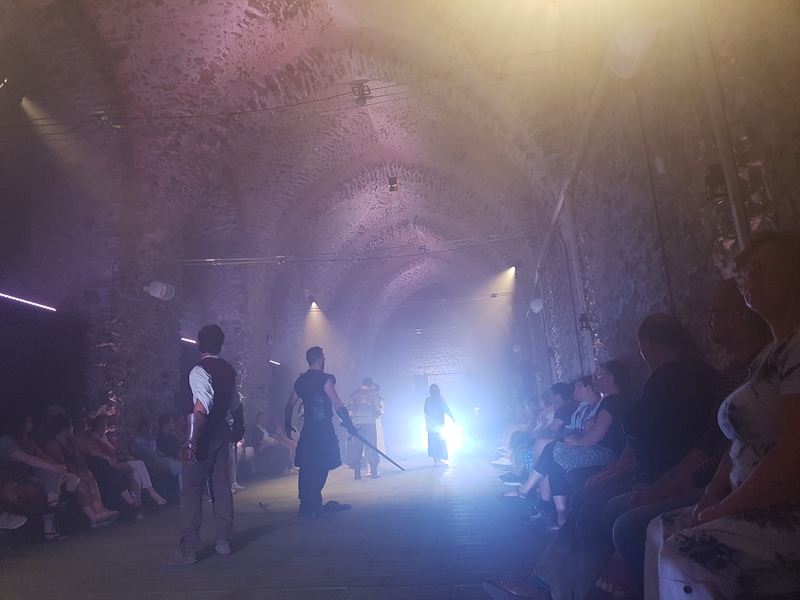 It’s an opera telling the history of Amalfi. There’s a few levels of ticket prices but there’s so few seats, the cheapest are fine. 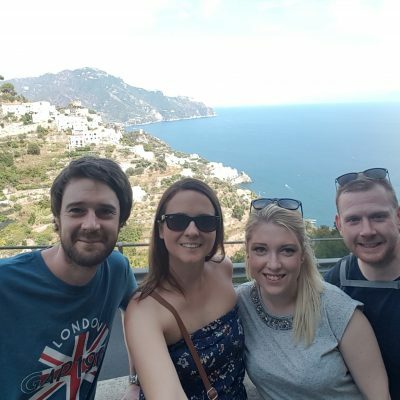 We went to see the Amalfi Musical with friends in September and loved it! It’s pretty bizarre and not your usual musical but we found ourselves humming the songs later. Museo della Carta – I haven’t visited the paper museum but it’s listed on TripAdvisor with 4.5 stars so maybe worth a trip on a rainy day. Amalfi is famous for its paper and you will find a few shops selling paper products in the town. After learning the process of paper making from Arab merchants, Amalfitans began producing paper in the first half of the 12th century, making it one of the earliest locations where paper was produced in Western Europe. 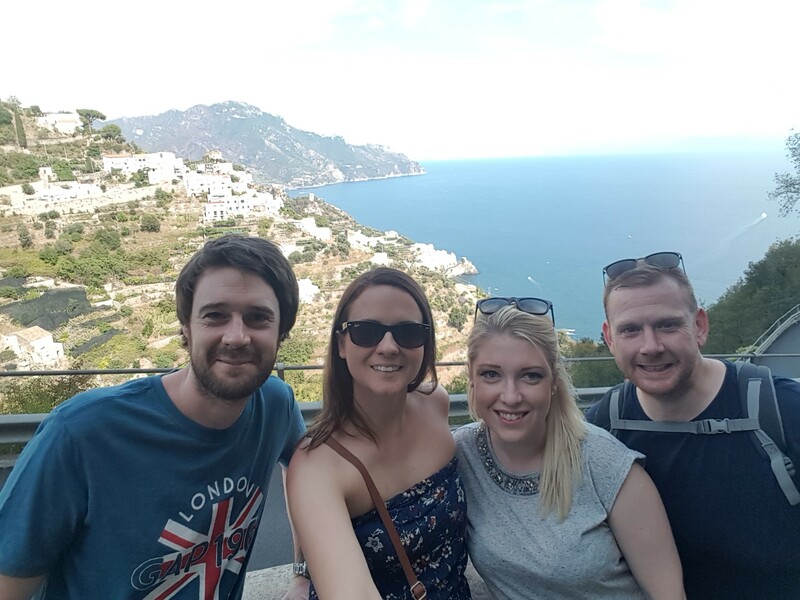 Amalfi will always be a special place for us and we’ll definitely be back one day over the next few years. If anyone has been and done anything I haven’t mentioned, please comment to give me some ideas for our next trip. Also, if anyone would like to buy me property on the Amalfi Coast, please let me know! 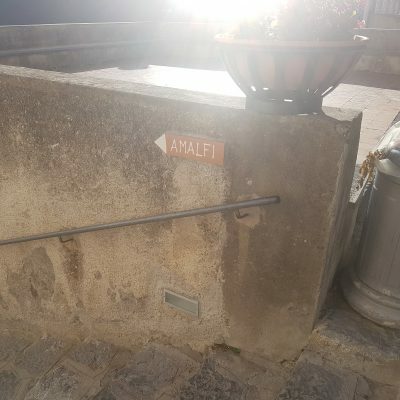 Have visited Amalfi 3 times already and know pogerola. 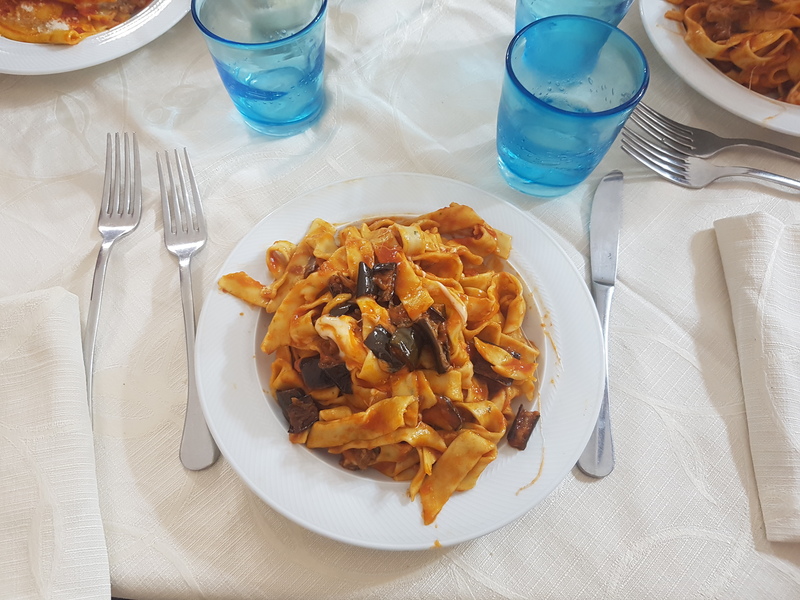 Agree with most of what you say except Osteria Rispoli, sisters are grumpy but homemade pasta was inedible, partner had to leave it, looked and tasted like my first homemade efforts that i had to bin or retread my car tyres with. Nonna Mia! Still what a fantastic village. Tony.